You’ve almost certainly seen this before. Perhaps not to this degree, but we’ve all woken up after a brutal winter night to a very wet window sill. Canadians have become all-too-familiar with the winter condensation problems that surface in any region where the temperatures are cold enough. Your windows ‘sweat’ the same way that the cool surfaces in your basement do. 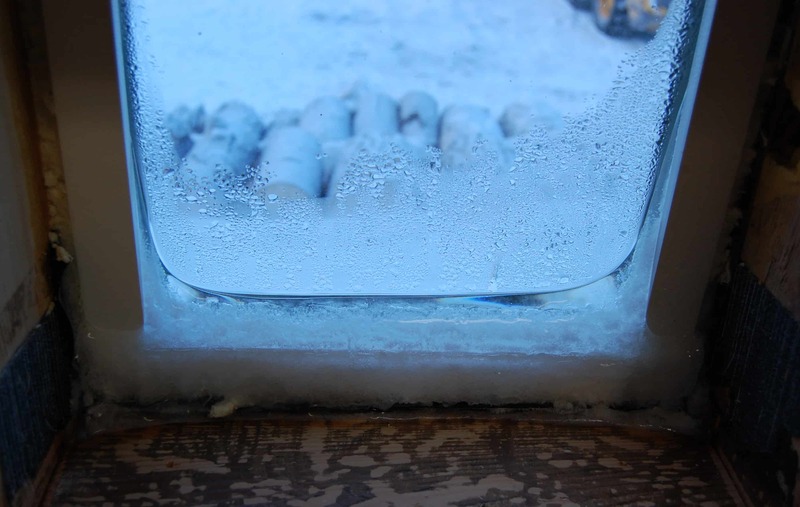 When the humid air inside your artificially-heated home meets the freezing temperatures on the other side of the window, condensation will begin to appear on the glass. 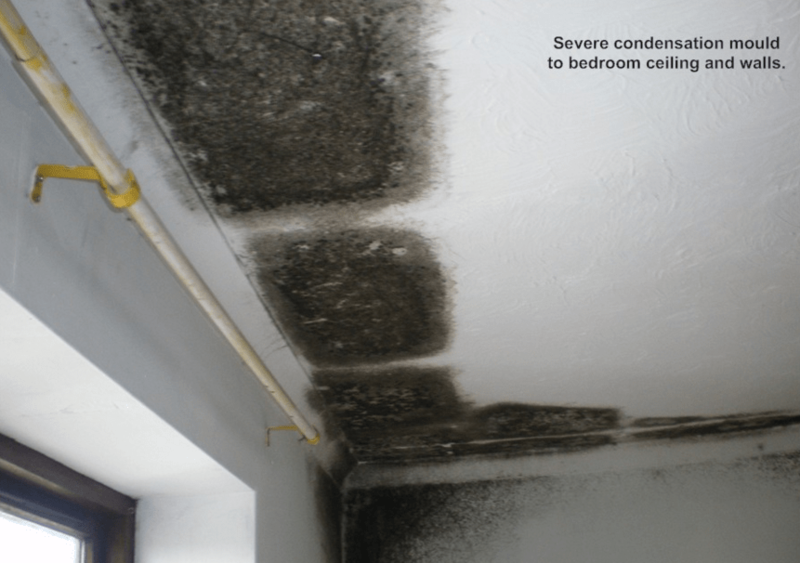 The effects of winter condensation problems are absolutely detrimental to your home. The finish of the window frame itself will be damaged, and the moisture will create an ideal breeding ground for mould. Dry the sill with a towel whenever necessary. If you find yourself needing to wipe it down periodically throughout the day, then this is an indication that your home has ventilation issues and it’s then that the ramifications of winter condensation problems become much more serious. In a home with such poor indoor air flow, condensation will start occurring inside the walls and attics. This will lead to the unnoticed growth of mould, mildew and other such fungi – well, unnoticed until it ‘blossoms’ into a situation like the one above and to the left. What’s causing the winter condensation problems? We are. Everyday parts of the human routine such as cooking, drying clothes, taking a shower and even breathing all create moisture, as does the heating system you use to warm your home on cold nights. How then do we solve the problem? 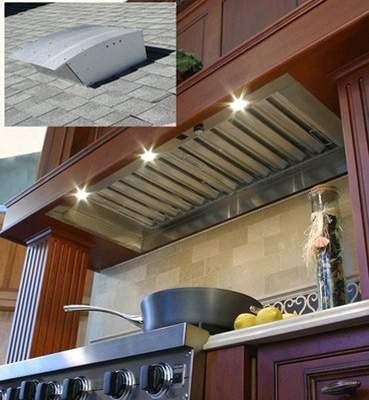 Identify all of the high-moisture areas in your home – think kitchens and bathrooms – and install an exhaust fan in every single one. Every time someone takes a bath or a shower, the exhaust fan should run for the next 15-20 minutes. The one downside to this solution is that the exhaust fans will draw warm air out of your home, and in this weather that’s something no one wants. After all, that’s why we close all our windows this time of year. The upside is that it’s an affordable and efficient means of ventilating your home. There is a wonderful alternative and it would remove the issue of heat loss – however, it will set you back more than $2,000. The heat recovery ventilator – also referred to as an “air exchanger” – extracts around 80% of the heat from your indoor air before sending it outdoors. Simultaneously, it draws the fresh air outside into your home and releases it – nicely pre-heated – into your home. Pretty cool, huh? Every problem has a solution, and winter condensation problems are no exception. Older, drafty homes never faced condensation because the holes around doors and windows formed a natural ‘ventilation system.’ With the technology available to us today, we no longer need to choose between cold and mould. This entry was posted in Blog and tagged winter condensation problems. Bookmark the permalink.